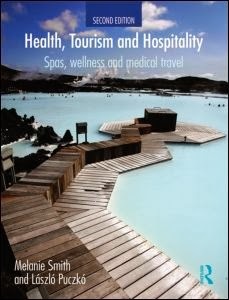 UCLan Hospitality lecturers Dr Sean Gammon and Dr Dorota Ujma have teamed up on a case study in the forthcoming book ‘'Health, Tourism and Hospitality: Spas, Wellness and Medical Travel'. Working in collaboration with Dr Andrzej Hadzik, Assistant Professor in the Faculty of Sport and Tourism Management at University of Physical Education in Katowice, Poland, the study addresses some of relationships between wellness, spa and health and travel to health resorts. It focuses on the Polish region of Silesia. The book is edited by Melanie Smith & László Puczkó and will be published by Routledge on 18th December - for more details please click here. Anyone interested in ordering the book can obtain a 20% discount by entering the code JRK51.